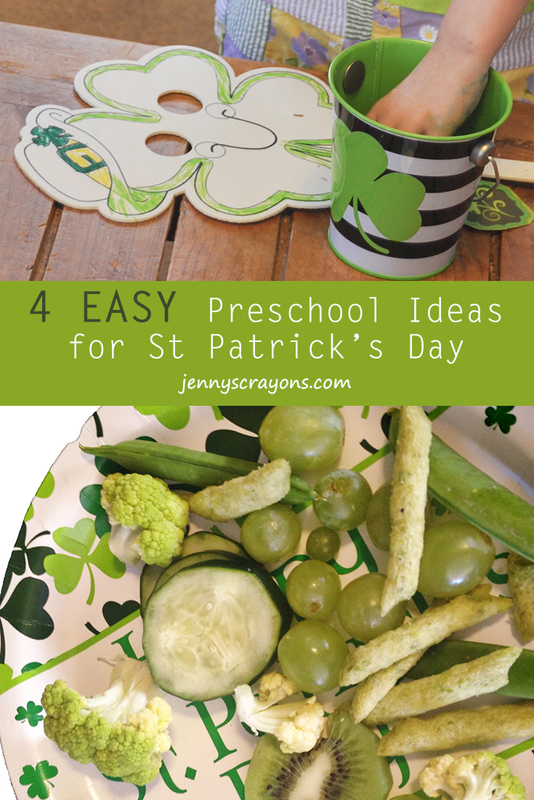 I hosted the preschool St. Patrick's Day party one year at preschool. These activities can be used for activities with your kids activities at home too. 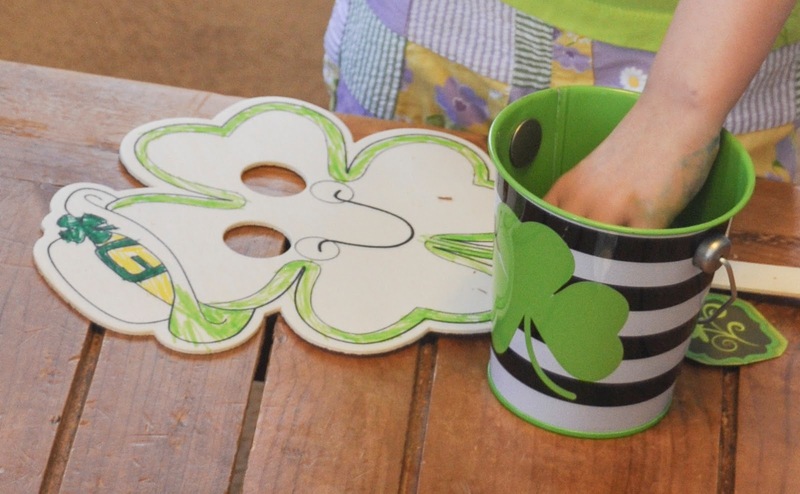 For this activity we had green foods, did a treasure hunt, colored masks and played Bingo. The kids also all dressed in green for our party. It was very festive. I am a big proponent of getting kids to eat healthy and that can be done by making it available to them. I found 6 green foods the kids could eat. My kids had not tried kiwi before and now they beg for it all the time. Here are the 6 green healthy foods I found at my local grocery store. The kids loved eating all the food, even if they did not eat all of them, and it was healthy. Next we colored some wood masks from Michaels. The kids loved coloring on the wood and they all turned out so differently. 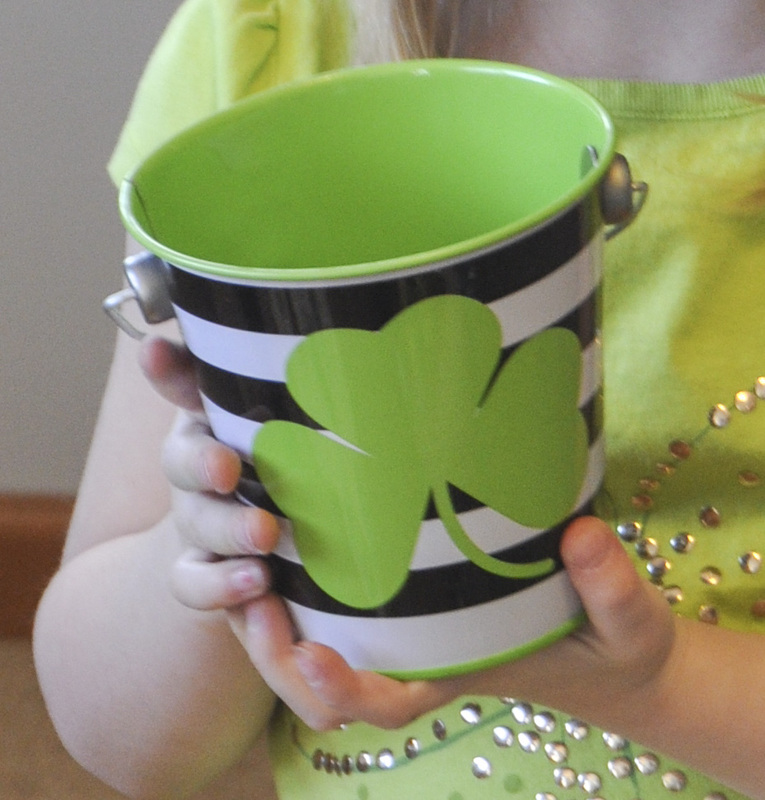 I found these buckets at Bulls Eye's Playground or the Dollar Spot at Target and told the kids we were going on a treasure hunt. I hid the buckets in a certain room. They had to find treasure using the clues around the house. They used their masks they had made and went searching. At the end of the map there was a rainbow with a pot of gold to show them they had found the buckets of treasure. 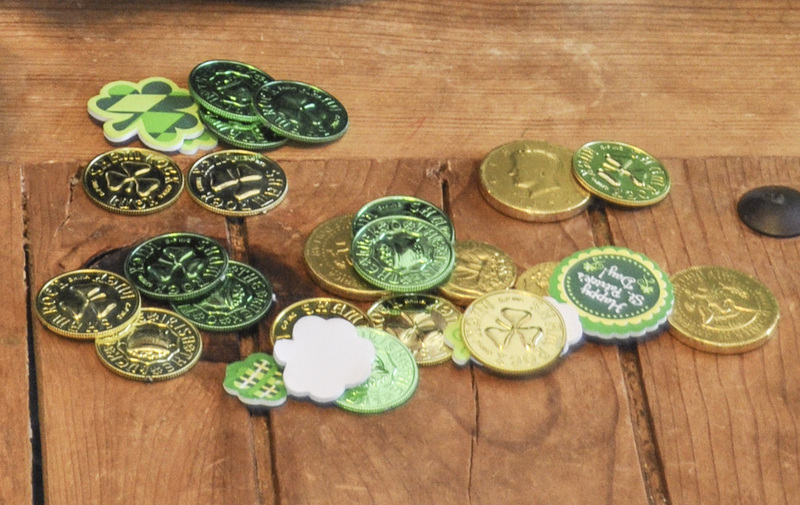 I put gold edible coins, stickers and gold play coins in all the buckets. We also played bingo with green m&m's. I got the bingo sheets from The School Supply Addict. The kids got to eat the m&m's afterwards. All in all the kids had a wonderful green time. Many of these activities could be used in preschool and for preschool parties in elementary school.